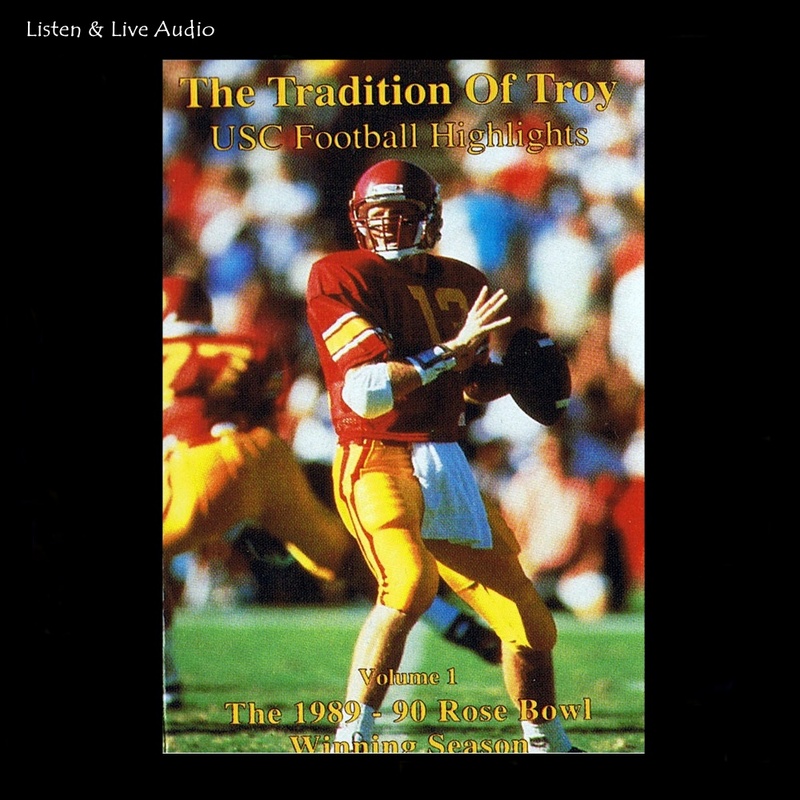 Welcome to the 1989-90 University of Southern California football season. A regular season which saw the Trojans stand tall among their Pac-10 conference rivals, registering 9 wins including exciting victories against Washington, Arizona and a dramatic, last-second triumph over Washington State. Led quarterback Todd Marinovich, Junior Seau, Mark Carrier and Ricky Ervins, the Trojans concluded this fantastic season with a 17-10 victory over Bo Schembechler's Michigan Wolverines in the New Year's Day Rose Bowl classic. So sit back and relive one of the great seasons from a school rich in college football tradition.